The holiday season is finally here! Among shiny ornaments and piles of neatly wrapped presents, excitement looms in the air. This is the time of year when we buy gifts for our loved ones and friends, but it is also the perfect time of year for our thoughts to turn to serving those in need. Service gives us the opportunity to help others and to provide a meaningful contribution to society. A gesture or gift that may seem small may make a significant difference in someone else’s life. JustServe.org provides a way for organizations to post volunteer needs and for community member to find ways to serve in their local areas. Just as many people celebrate the 12 Days of Christmas, why not celebrate the 12 Days of Service? 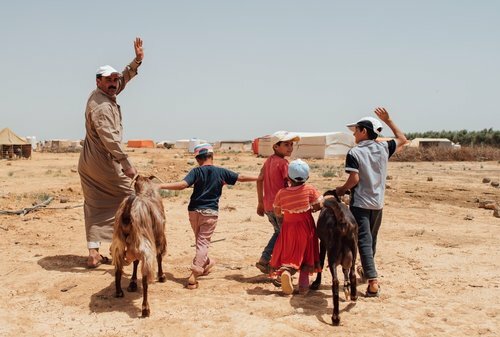 Lifting Hands International is a humanitarian nonprofit organization where volunteers can help refugees at home and abroad. A way for volunteers to help refugees is to assemble blankets, hygiene kits, and newborn baby kits. KONY Coins for Kids is an organization dedicated to providing Christmas gifts for disadvantaged children in the Washington County area of southern Utah. Volunteers can choose a family and shop for their children. American Red Cross provides relief and support to those in crisis. A way to help the Red Cross is to donate blood. There is a blood donation center located in St. George at 476 E. Riverside Dr.
Switchpoint Community Resource Center provides support and services for the homeless. A good way to volunteer at Switchpoint is to serve food to the homeless in its soup kitchen. The Bicycle Collective is a nonprofit organization dedicated to the idea that riding bikes is a way to clean the air and reduce traffic. The Bicycle Collective recycles old bikes and provides bikes to underprivileged populations, such as the homeless and refugees. 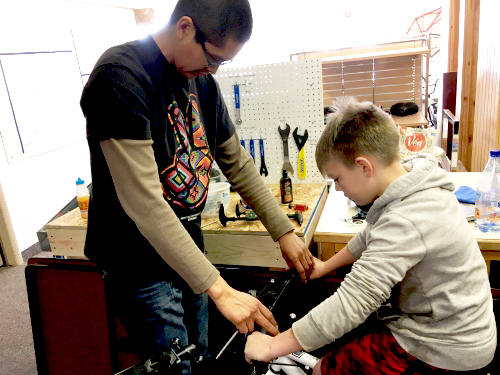 Volunteers can donate a used bike or help fix donated bikes. The Bicycle Collective is located at 70 W. St. George Blvd. Switchpoint Thrift Store is located at 935 N. 1300 W. Suite 7. Volunteers can donate items (anything from clothes to home décor) or help stock shelves. Utah Food Bank’s mission is to fight hunger statewide, and it does so by collecting food for the vulnerable. Volunteers can donate food and/or money. They can also donate time by delivering food or hosting a food drive. Help Me Grow Utah is an information and referral helpline—available at no cost—that provides parents, physicians, and providers with the knowledge and resources they need to make a difference in the lives of children. Its services include personal care coordination, free child development and perinatal screenings, answers to pregnancy, parenting, and child development questions, and connection to community resources. To fill out a volunteer application, visit helpmegrowutah.org. The St. George Children’s Museum provides fun and engaging activities for children and families. Volunteers can donate time by greeting families at the entrance, encouraging children and families to play together in the exhibits, assisting in the office, and assisting with special events. Donations of craft supplies are always appreciated..
Family Healthcare’s mission is to provide accessible and quality healthcare—regardless of financial, cultural, or language barriers. 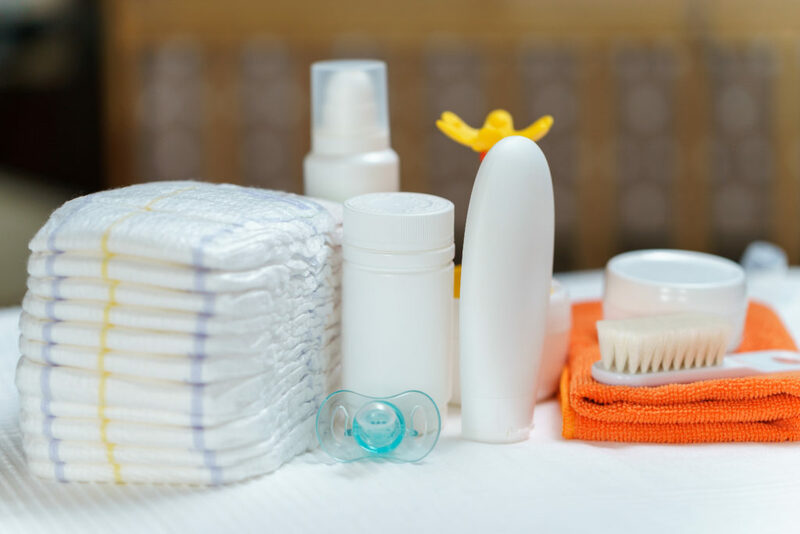 A great way to volunteer at Family Healthcare is by donating newborn baby supplies, such as thermometers, diapers, onesies, baby wipes, and blankets or quilts. Utah School and Institutional Trust Lands Administration (SITLA) helps manage Utah’s 3.4 million acres of trust lands (a collection of land that is held in trust to support primary public schools, state hospitals, teaching colleges, and universities). Volunteers can help preserve and protect trust lands by making sure these areas stay clean. Dedicating time and resources to those in need is a worthwhile and rewarding experience, not only at this time of year but at all times times of the year! To find more volunteer opportunities, visit JustServe.org.